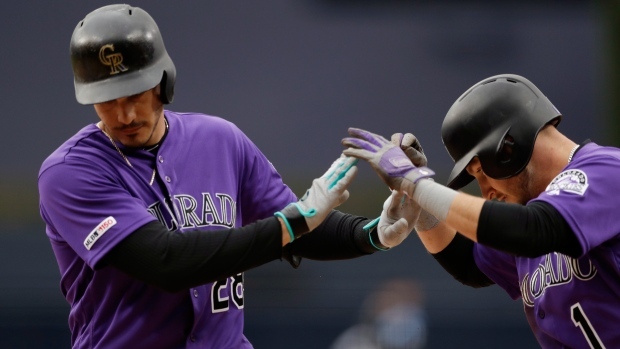 SAN DIEGO — Nolan Arenado and the Colorado Rockies found their stride at sea level. His shot to straightaway centre field off rookie left-hander Nick Margevicius (1-2) with one out provided the Rockies with their first first-inning runs this season. Their streak of 17 straight games without a run in the first inning was longest to begin a season in franchise history. Grey improved to 9-3 lifetime against San Diego by holding the Padres to one run and three hits while striking out five and walking three. "If there's one thing not to worry about it's this offence," Myers said. "We've got guys in here who are going to hit. We'll definitely get going."